IAC Supply Solutions, Inc., is now a full-line distributor for Garr Tool Company, a manufacturer of carbide cutting tools and related products. 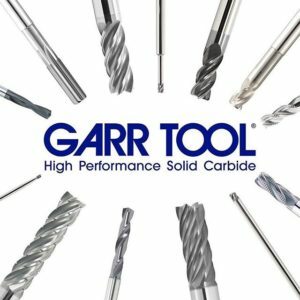 Garr Tool Company is a leading American manufacturer of high-quality carbide cutting tools, including end mills, drills, reamers and rotary files. GARR TOOL focuses on providing competitive prices and unequaled customer service. IAC Supply Solutions, Inc., is one of the Mid-South’s premier independent distributors of automation, electrical and industrial products and services. It has locations in Memphis, TN; Bartlett, TN; Jackson, TN; Jonesboro, AR; Blytheville, AR; Glen, MS; and Grenada, MS.